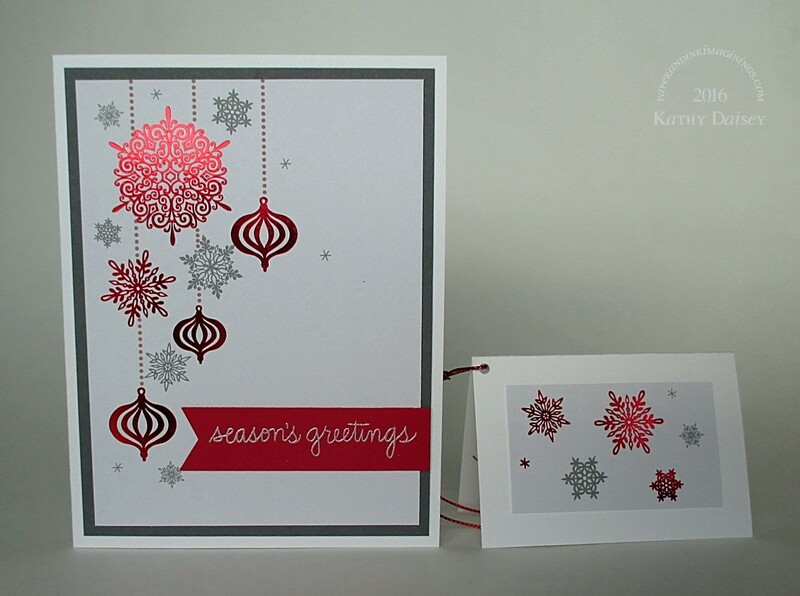 I used the Recollections “Red & White Christmas” 12 x 12 pad again – this time to make a card and some gift tags. The red foil is so hard to capture in a photo! The 12 x 12 pad has several pages that are designed as 6 x 6 squares. I used 2 of the 6 x 6 squares to make all of these items (and another tag exactly like the bottom photo). Supplies: Stamps – Hero Arts, paper – Neenah Classic Crest Solar White, Recollections Red & White Christmas, Stampin’ Up! 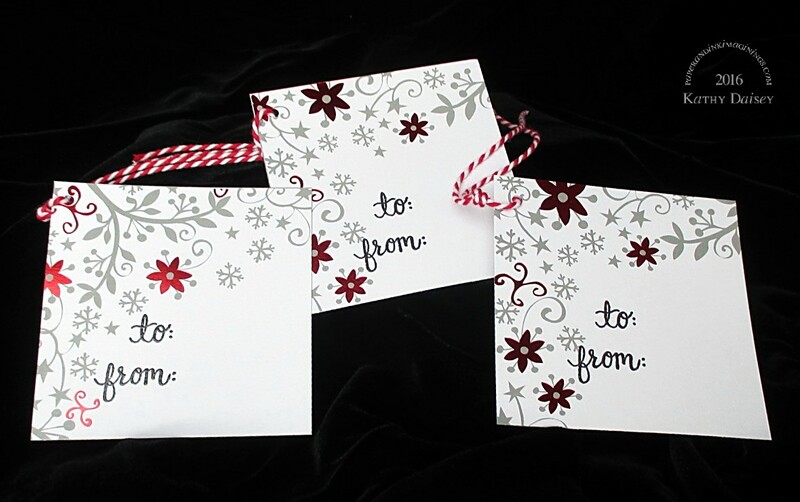 Basic Gray, Real Red, ink – VersaFine Onyx Black, embossing powders – Ranger Silver Pearl, Stampin’ Up! Sterling Silver, twine – Offray, metallic cord – PaperMart. Categories: card, gift tag, holiday | Tags: card, Hero Arts, Neenah, Offray, Paper Mart, Ranger, Recollections, Stampin' Up!, Tsukineko, VersaFine | Permalink. I can see red foil loveliness! Very classy! Thank you! I really scored big when I stumbled upon this paper pad! Wow this is really nice. I love the tags.